Dallas Personal Trainer - An old favorite of many people who were/are in the bodybuilding part of the fitness world. It is typically not a favorite of Dallas personal trainers who are adherents of the functional exercise trend but truthfully this exercise can develop excellent flexibility in the chest (pectoral) muscles and thereby enable the posture to be significantly improved. It is absolutely critical that this exercise be performed perfectly for the safety of the shoulder however. Start out with a set of dumbbells that weigh about 1/3 the weight that you would normally use for Dumbbell Bench Press until you master the technique for this exercise. Even after you master the technique, you should not expect to ever lift much more than 1/2 of your normal Dumbbell Bench Press weight on this exercise. 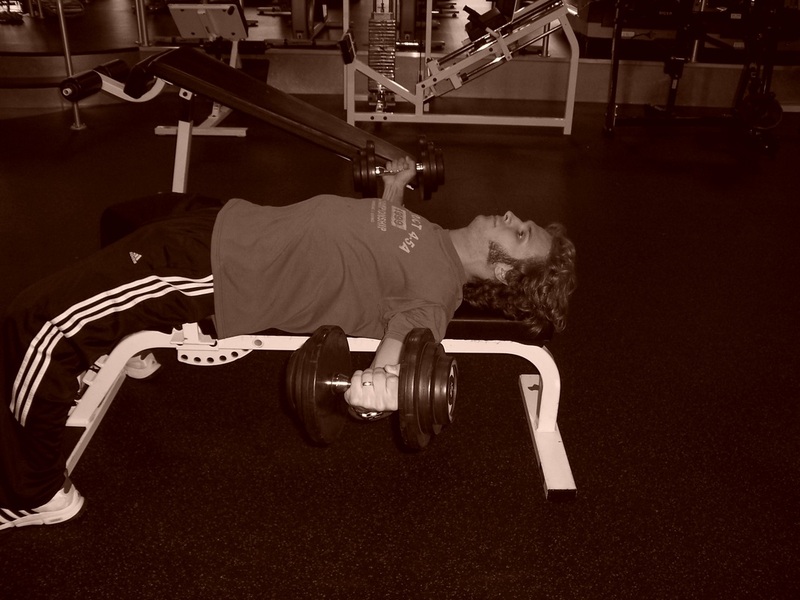 Lie back on a bench with the dumbbells and either rest your feet on the bench, tuck them up off the bench, or put them on the floor like your would for Barbell Bench Press. Push the dumbbells up together to start the exercise from the top. Face your palms toward each other and then lower the dumbbells down and out to the sides slowly and under control. When they have reached the point at which your chest gets a good stretch, smoothly pull them back up with your chest muscles, keeping your lats (armpit muscles) tight. Make sure that your shoulders do not shrug at any time during the exercise. Deliberately stick your chest out and focus intensely on doing all of the work with your chest muscles. Bring the dumbbells together in the middle at the top and squeeze your chest muscles very tightly. 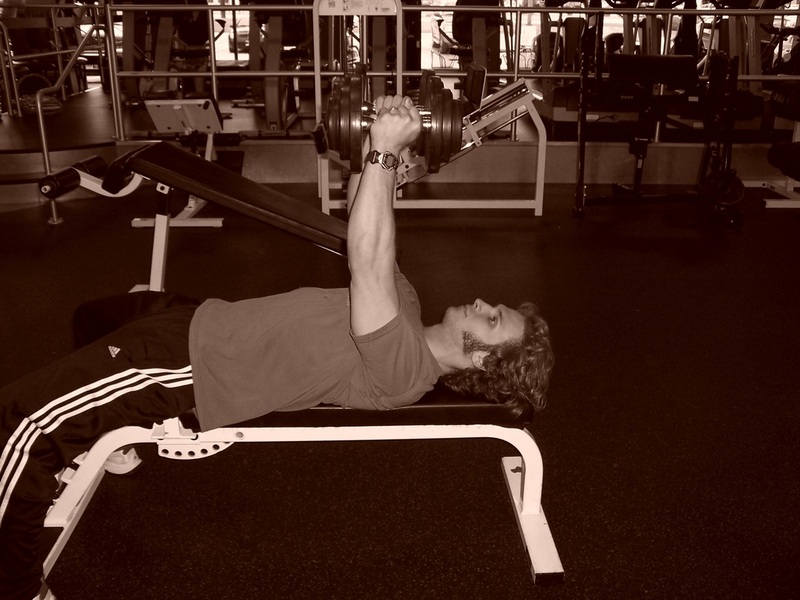 Smoothly lower the dumbbells into the next rep and continue for the number of reps specified by your workout program.